This is a handmade quilt with a modern design. It features different shades of purple. 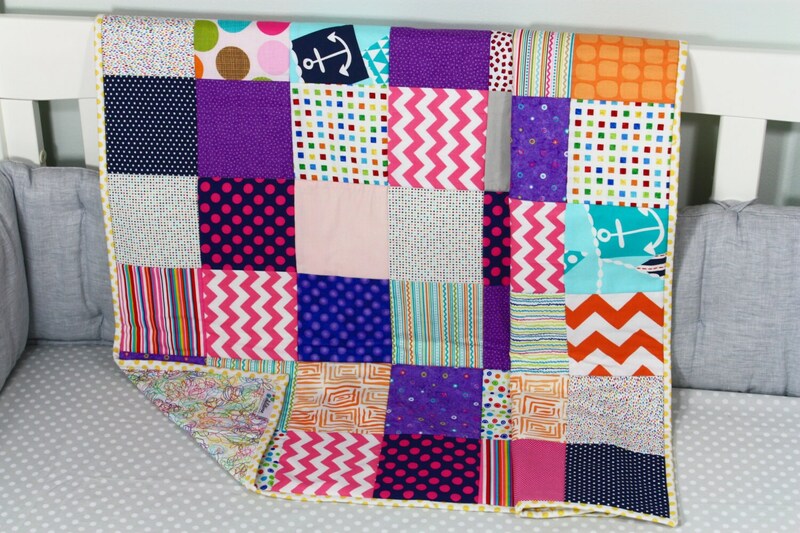 This quilt would go in almost any nursery. Machine wash in cold water on the delicate cycle and air dry or tumble dry on the lowest setting in the dryer. Minor shrinkage may occur.